Hey guys. Today I have a simple and clean card to share with you. 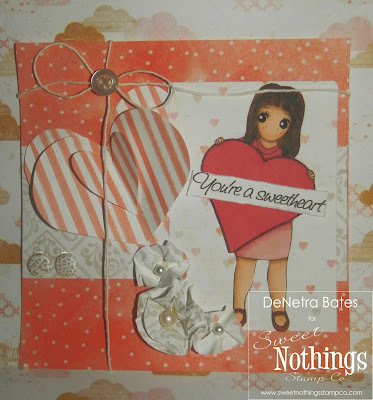 I am using one of the NEW stamps from Sweet Nothings Stamp Co. 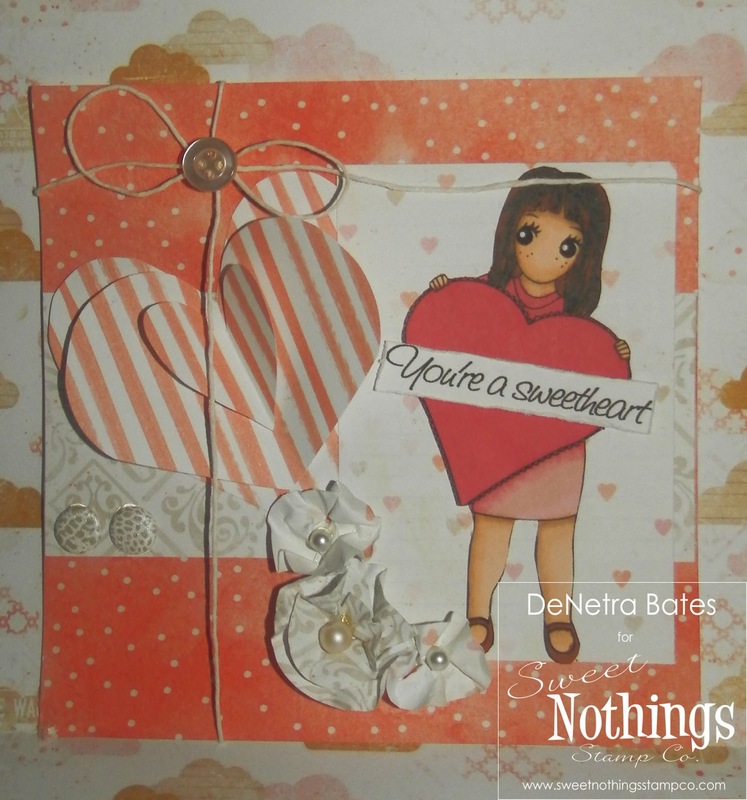 I hope you like this card. It's not my usual "extra" type of card. I thought that the stamp was so cute it did not need too much. thank you so much Lee Ann !! thank you penny. and you are right it is not my normal style...I was trying something simple. Thanks for always commenting !! hugs ! !